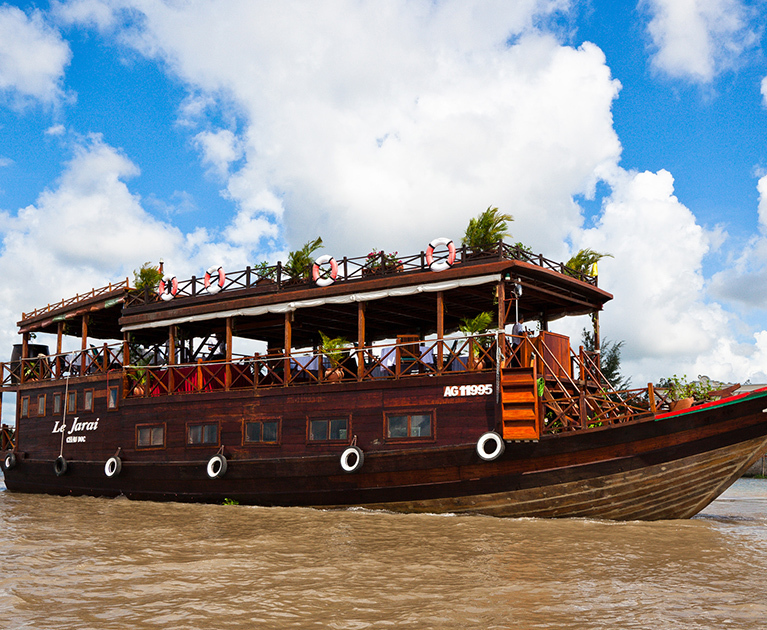 Experience two fascinating destinations in Indochina on this seven-day journey of Vietnam and Cambodia. Soak up the rich history and culture of former Saigon and venture through the magnificent Angkor complex in Siem Reap. Your guide will meet you at your hotel and driven to the city’s Central Post Office, which was designed by the renowned French architect Gustav Eiffel. 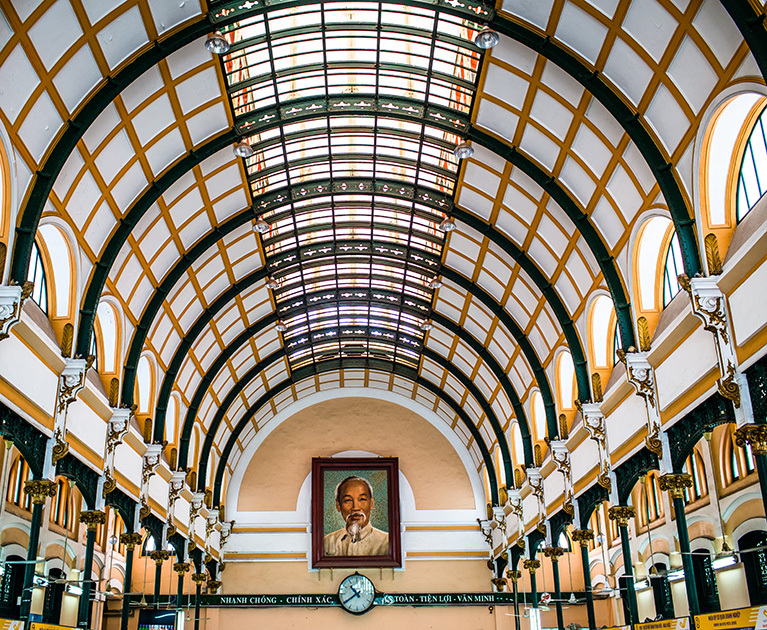 Next, stroll toward the Saigon River along Dong Khoi Street, which figured prominently in Graham Greene’s famous Vietnam novel, The Quiet American, to the Saigon Opera House, a commanding building completed in 1901. Shelled during World War II, it was used to shelter French citizens fleeing North Vietnam in 1954, the year Vietnam earned its independence from France. The tour continues with a stop at the Reunification Palace, where a North Vietnamese tank crashed through the gates in 1975 to end a war that killed an estimated 58,000 Americans and three million Vietnamese. You will also visit the War Remnants Museum, where Vietnam’s government has assembled presentations – some of the graphics – of wartime hardships and atrocities. Continue with a visit to Tan Dinh church and nearby Tan Dinh market. Tan Dinh church is a complete contrast to traditional Notre Dame Cathedral, but equally impressive with its high steeple and distinctive pink design. It is one of the most beautiful and unique churches in Ho Chi Minh city with its dazzling architecture and sculpture patterns and inside is just as dramatic. Wrap up your day with a wander through the vibrant Tan Dinh market next door, where you can haggle for a bargain.